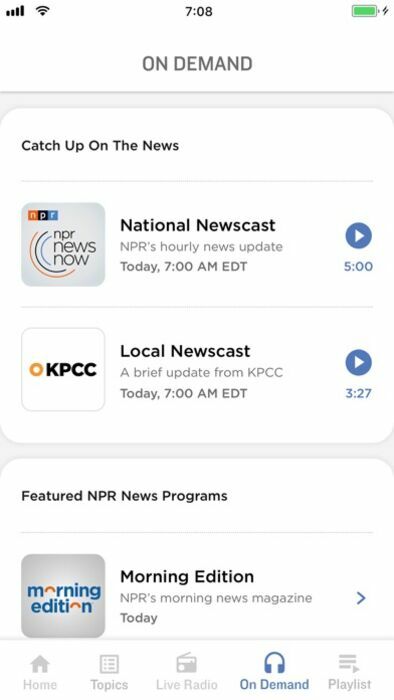 The best of NPR’s content in your pocket: read the latest breaking news, stream your local public radio stations, and hear your favorite NPR shows and podcasts. The NPR App is in your hands, wherever you go. Tap into a world of stories with on-demand access to the best of NPR content—news, live radio streams, programs, and podcasts. Never miss a beat with hourly newscasts, breaking news alerts, and story feeds filtered by topic. With the NPR app, home feels close enough to touch. Stream your local station to hear the stories that matter in your community. 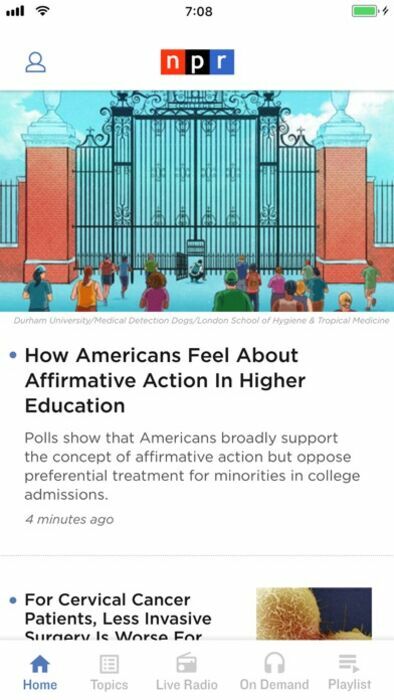 Get the latest stories from NPR delivered right to your phone. Hear local and national newscasts and receive breaking news alerts. Stream your local radio station from wherever you are. 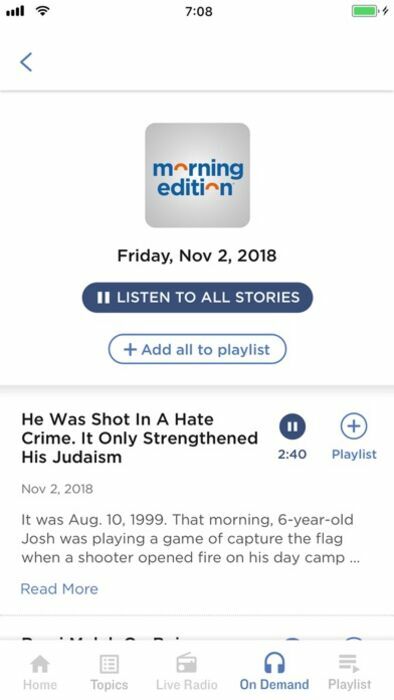 Listen to America’s top conversations from NPR’s award-winning news programs, Morning Edition and All Things Considered. Enjoy on-demand access to your favorite podcasts, including NPR’s Wait Wait…Don’t Tell Me! 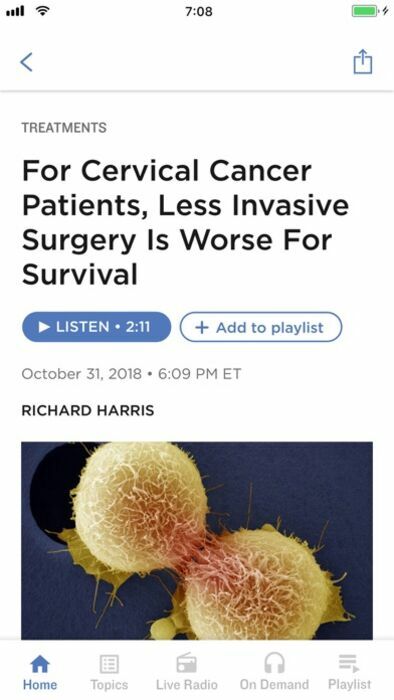 and Planet Money. 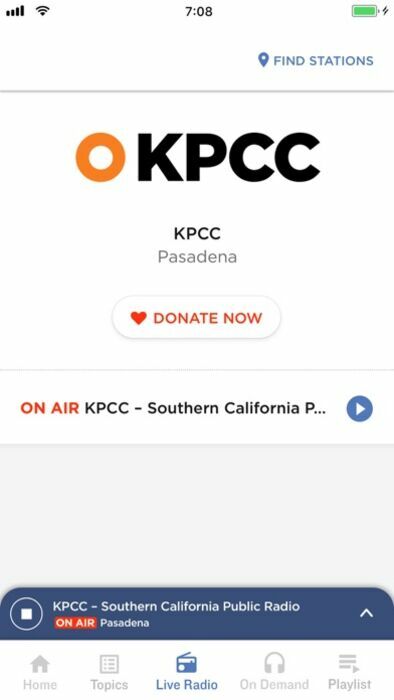 You can now support the station in your community with a simple, easy tap to visit their donation page. Want to make playing your favorite stations’ live stream even easier? This release includes support for Siri voice Shortcuts, which will allow you to record a cue that you can use to ask Siri to start the stream for you at any time - hands free! This release also contains a fix for users who have encountered issues with the app loading content properly in the last version. Thanks to everyone who reported this for their patience while we resolved it. In addition, we also packed in a bunch of smaller bug fixes and improvements. As always, thanks to all of the users who provided helpful feedback to assist in resolving those.